Darling readers if you are reading this, you are on on the page of the recording artist vanishing point in our eLyricsWorld. Our database comprises with data about 52389 artists worldwide as well as 829824 songs 49 of which are from vanishing point. 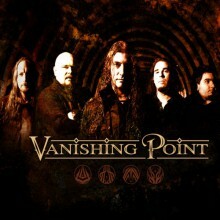 Besides the singer's biography, on this page you can see brief information about them, enlists birthdate, genre, label Be conversant with all the facts around vanishing point by adding RSS feed. If you prefer you could directly visit the address you are on at the moment and check out what's new and latest songs about the artist.